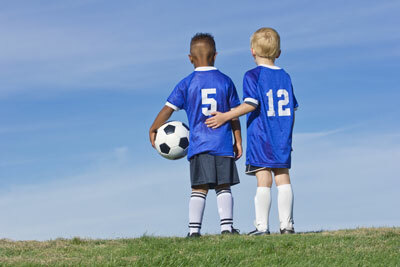 There are a variety of benefits to enrolling your children in youth sports programs. There’s the physical fitness aspect, as kids get the exercise they need to stay fit and active. It’s a grade booster, as studies show that those who participate in youth sports are more likely to do better in the classroom. Above all, however, sports are fun. It can be very rewarding to watch your children dedicate themselves to a sport while having a great time in the process. Preparation: They say practice makes perfect. Thus, not only is it important to hone your skills at a particular craft by putting in the practice hours, but it’s also important to prepare for the game or task at hand from a strategic standpoint. This is also true in life. In the classroom, you’ll have to prepare for tests. In the workforce, you’ll have to prepare for interviews. After you’ve gotten the job, you’ll likely have to plan presentations for clients or bosses. Planning and preparation is an important part of a career, and it can all begin with the important details one learns before the big youth championship game. Getting along with others: As your child plays sports, it’s highly unlikely that he/she will be friends with every single teammate. The same can be said about the working world. You’re not going to get along with everyone you work with and everyone you do business with. However, just as it’s important on a team, in your career, you have to put differences aside and come together for the greater good. On a youth sports team, this greater good is doing what it takes to win the game. In the career world, this greater good is doing what it takes to accomplish sales goals or attract new business. Leadership: Leadership is another trait that’s important in the workforce as well as on the football field, basketball court, baseball diamond, etc. Studies indicate that children who participate in sports are more likely to be hard workers and better overall future workers. They can thank the skills they learn from their days of athletics for this future success in large part. Learning from mistakes: In youth sports, you win some games and you lose some games. Winning and losing is also a big part of life. While winning is great, it’s how you deal with losing that’s arguably the most important lesson. Do you get angry and mope, blaming everyone but yourself, or do you take accountability for your actions, realize what you could have done differently to change the outcome, and work to ensure that it doesn’t happen again? Learning from your mistakes is as important in a career as it is in sports. Confidence building: In sports, your child will gain confidence when he/she hits the winning jump shot or catches the touchdown pass with seconds left on the clock. Children develop poise that will help them build their game and ultimately perform better in future games. A career is the same way. If you have confidence in your work, chances are you’re going to do a better job. If you don’t have confidence, on the other hand, things could spiral out of control to the point where it becomes detrimental. Youth sports are all about having fun and learning the game, therefore such leagues are great for building confidence in youngsters. As we mentioned earlier, playing youth sports offers a variety of benefits — some obvious, some perhaps not so obvious. One of these not so obvious benefits is unquestionably how participating in athletics has the potential to benefit children later in life. Just because a child may “retire” from playing a sport doesn’t mean that the lessons learned will retire, too. Brandon Capaletti is the Vice President of Cisco Athletic, a Maryland-based manufacturer of athletic apparel that designs, produces and distributes custom uniforms.